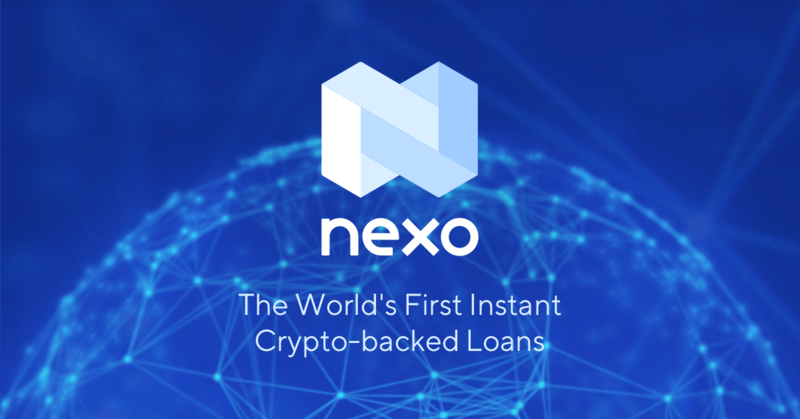 NEXO is a blockchain- based lending platform which lets users make loans using crypto assets. 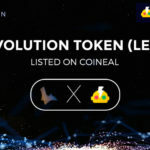 The platform uses digital assets as collateral, thus enabling cryptocurrency owners to have access to fiat funds without requiring them to liquidate their crypto assets. To obtain the fiat funds owners are required to lock up their cryptocurrencies. The cash can be accessed via a credit card or through a bank transfer. The bank transfer will take longer than transferring the funds on the card. 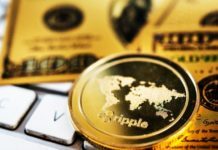 Because of this, when the crypto’s price is experiencing volatility, the spending limit of the card will reflect the overall fair market value of the cryptocurrency used as collateral. Nexo was developed by Credissimo, an important European fintech group which has been catering to millions of users for over a decade. That company loaned so far a total sum of $120 million since it was founded, gathering nearly $155 million in cash. 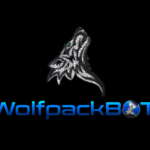 The company is seen as an important figure on the market in the online lending industry in many European countries. By now they have processed more than 1 million in application loans and has given 79,000 loans in 2017. Recurring customers make up 78% of its traffic. The main team behind Nexo consists of 14 members, which all have equal positions at Credissimo. 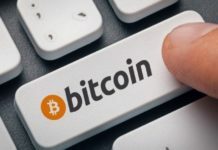 Credissimo’s co-founder Kosta Kantchev has been activating in the European FinTech industry for more than a decade and, from what his biography describes, he was also an early adopter of Bitcoin. 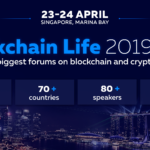 Kantchev is known for his active involvement in a number of blockchain projects that focus on enabling global loan repayments in cryptocurrencies. Vasil Petrov is the CTO of Nexo. 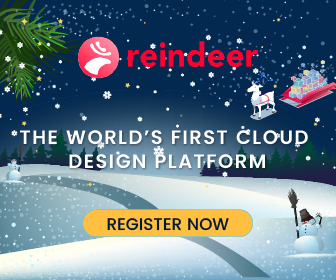 Petrov has 16 years of experience in niche domains such as system administration, architecture design of high-load, back-end development, and full-cycle projects. Aside from working at Nexo, Vasil also established a multichannel video and internet service which now has more than 150,000 subscribers. Their business is advised by Michael Arrington, the co-founder of TechCrunch. 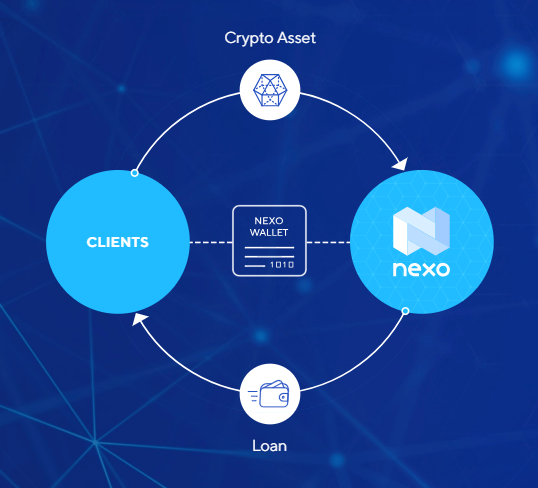 NEXO is a token which complies with the U.S. Securities and Exchange Commission and is backed by the assets that Nexo has in its loan portfolio. Nexo’s users can obtain cash instantly from anywhere around the world. 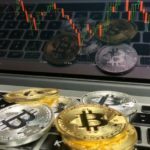 The crypto was launched on the market just at the beginning of May. The price of a single Nexo token first experienced a sharp rise a few days after its launch, then continuing to descend slowly and since July hovering around the same value. Nexo tokens will be used on the platform to pay token users their dividends. Thirty percent of profits from Nexo loans will be used to fund a dividend payment pool with which loyal token users will be rewarded. Repayment is made in the ETH token, but it is expected that the company will make repayments in fiat or other cryptocurrencies sooner or later. 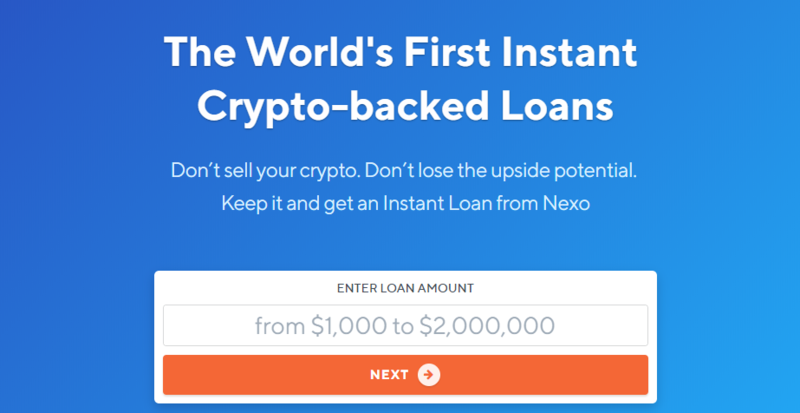 Along with dividends, Nexo tokens can be used to repay the loan. This is beneficial for users as on repayment interest there is a discount offered. Like SALT, keeping Nexo tokens stored in your wallet will let you have higher loan limits. This is just like banks when they offer a discount on its loan’s payment rates if auto-payment options are used ( therefore reducing the chance of missing payments). Nexo has publicized that they are the first compliant security token in the US according to Regulation D Rule 506(c). In their documentation, they refer to the Nexo token being a compliant dividend paying asset which is supported by assets that are collateralized. 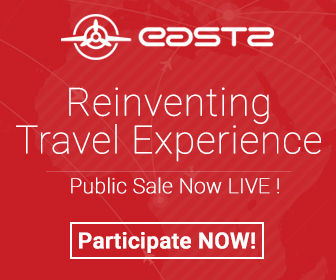 Currently, the token’s price is $0.049526 USD, with a market cap of $27,734,679 USD. There are 560,000,010 NEXO tokens in circulation out of a total supply of 1,000,000,000 NEXO. The NEXO coin is an ERC20 based token, therefore it is compatible with any Ethereum wallet. But in order to be able to use the Nexo platform and its loan system, you will have to download and install the Nexo Wallet and deposit your other crypto assets in it. Seeing as Nexo is a lending platform that is compliant to crypto regulations of the highest standards, it is highly likely that the platform’s token will attract investors and users that are looking for a little more security. 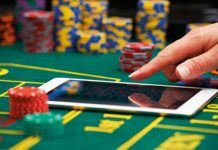 And given the volatile nature of the cryptocurrency market, many crypto users will probably prefer to interact with their services.